Thanks to Clare Cole for sending us this shot taken in Bangor's Penjajawoc Marsh area. 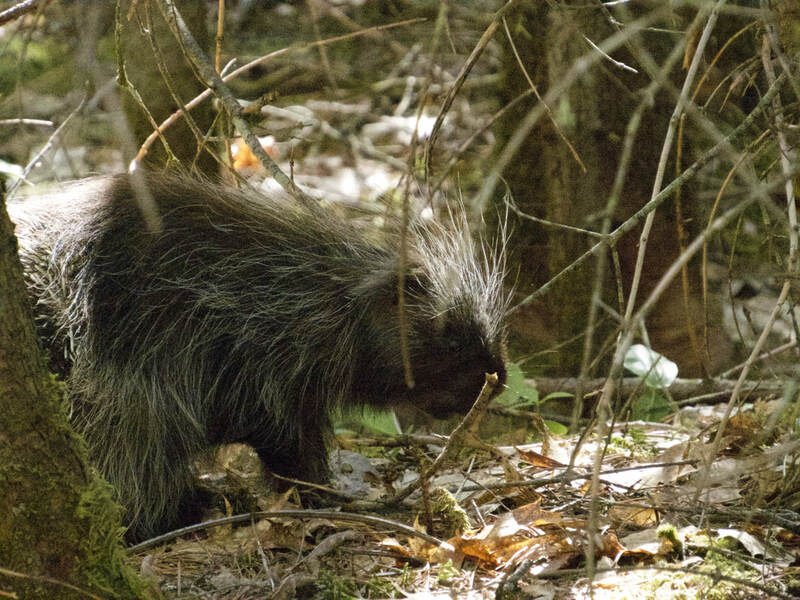 Slow-moving and near-sighted, porcupines are mainly active at night, resting in their dens or in trees during the day. They eat conifer needles and tree bark in the winter and twigs, roots, berries and other vegetation in the summer. They mate in the fall and and have one young 202 days later - the longest gestation period in the rodent family. Females provide all of the parental duties nursing the young for four months.